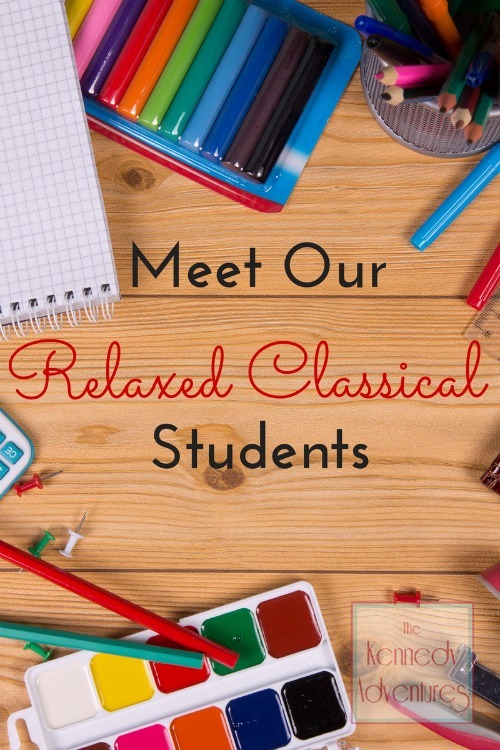 Meet our Relaxed Classical Students! - The Kennedy Adventures! You are here: Home / Family Life / Meet our Relaxed Classical Students! Meet our Relaxed Classical Students! This fall, we’re going to have four students in our homeschool. Rachel is 8 years old, and will be working though a combination of the cottage school at Highlands Latin School and the Memoria Press curriculum for third grade. 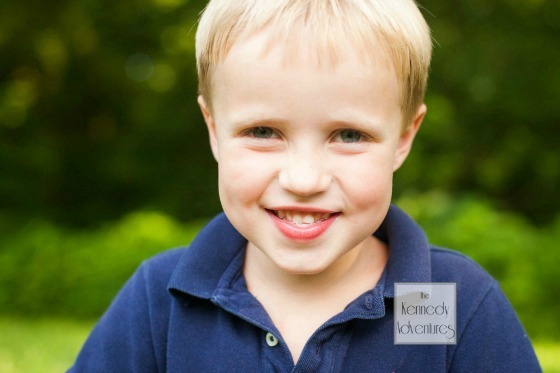 Adam is 6 years old and the oldest of our identical twins. He’ll be working through most of the Memoria Press Kindergarten curriculum. 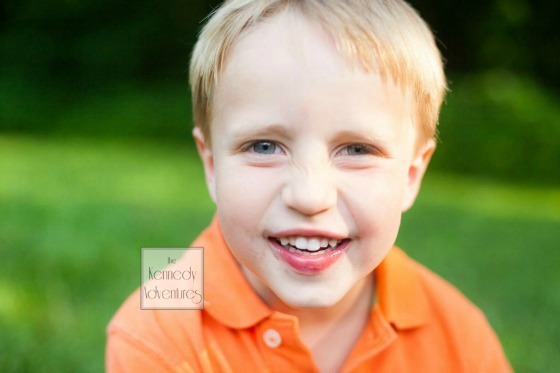 Thomas is 6 years old, the second half of our identical twins. He’ll also be working through the Memoria Press Kindergarten program with his brother. Maeve just turned two years old. We won’t be doing any sort of formal curriculum with her, but she’ll be joining us for art, music, Bible stories and our Five in a Row fun. 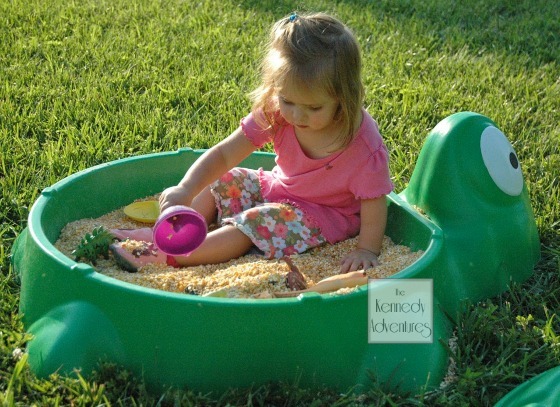 She loves hands on activities and sensory play. This sweet baby is five months old! 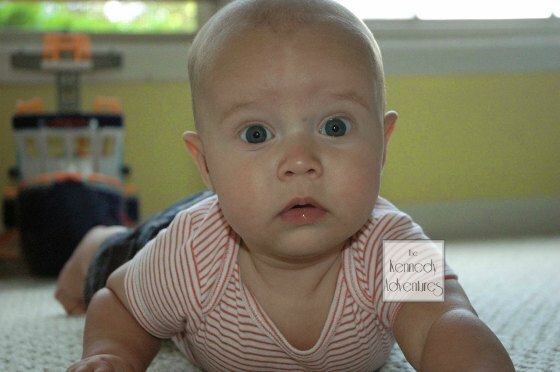 He’ll be hanging out with us, learning how to sit up on his own and crawl. Abigail is busy with work and college, but still finds time to drop in and help out. 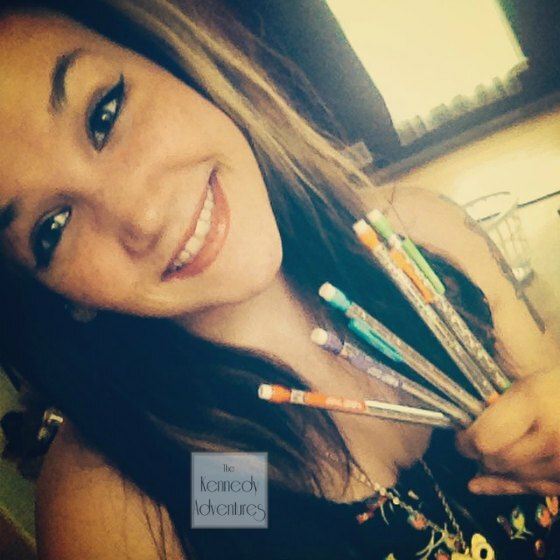 She helps out with field trips, music and art lessons. I’m the planner for our homeschool, as well as being responsible for most of the lessons. My favorite things to teach with the kids are literature and reading, along with science. Brett pitches in when he can, picking up science and music history, as well as some geography. (The kids learned so much during World Cup!) He has a much more laid back approach than I do, which is so helpful when I’m having trouble. Let’s hear from you! I’d love to know how many students you have this year, what ages and stages you’re managing, and more. 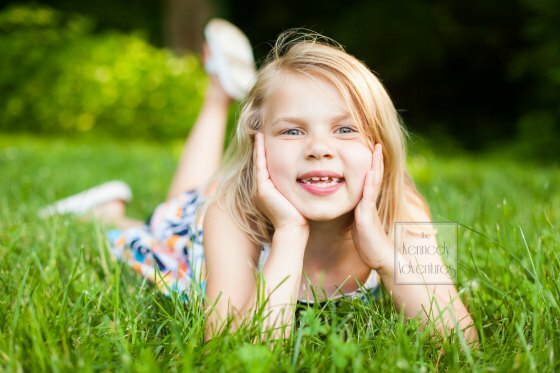 My friends over at the iHomeschool Network are introducing their students today. Go over and take a look! I am particularly partial to the littlest student, but only because he smells so good. You are teaching an awful lot of weaponry this year!! His daddy remarked on how much he’d grown over the weekend! Must have been all of the lovin’ y’all put on him! Dianna — seeing these photos and now having the experience of spending time with you — makes everything all come together. 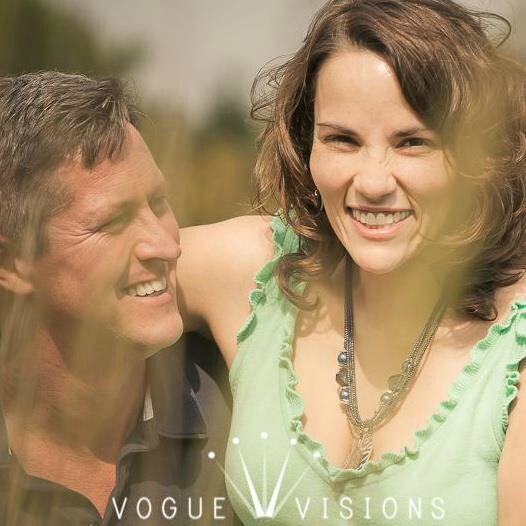 You have gorgeous children! I will read with interest about the Latin School. Hugs to you! Aww! We had SUCH a good time this weekend. Thank you so much for your kind comments! 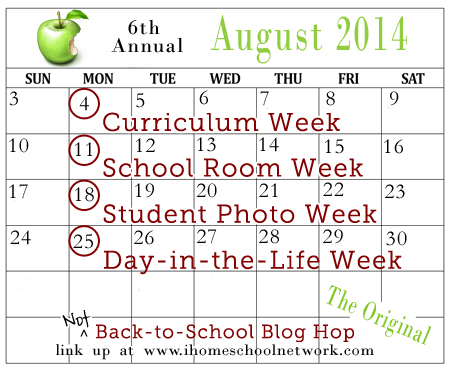 We’re off to an Open House later this week, and I’ll be ramping up the back to school prep today. Beautiful family! Love that they’re wanting BB gun and cross bow lessons. My husband and son would love to add that to our year as well! They’re all boys, all the time. If you follow me on Facebook, you would have seen me lamenting the broken window as a result of a Nerf Sword mishap. Never a dull moment here. I just found your blog this weekend. It is great to see how others spend their homeschool days. Thank you for sharing. PS: Love the weaponry; sounds just like my boys. Thanks for coming by, Melissa! I’ll be sharing more about how we order our days later this week. I appreciate you stopping in!